Pirelli expects an improvement in the growth prospects of the global economy during the course of 2018, in the wake of a probable consolidation of the current expansionary phase of the European and Chinese economies together with an acceleration of the US economy. Global growth should also show itself to be more balanced thanks to a contribution of growth from the main emerging markets which should benefit from a more stable currency market. Despite this favourable macroeconomic environment, there still persist however, elements of both a political risk nature (amongst others Brexit, the Italian parliamentary elections, the Brazilian presidential elections and the Catalan crisis) as well as macroeconomic risks. The latter are mainly linked to the current uncertainty that characterises the North American free trade area (NAFTA) as well as the possible increase in the volatility of the financial markets. Where appropriate, Pirelli has adopted a local-for-local strategy, creating a productive presence in rapidly developing countries in order to respond to the local demand with competitive industrial and logistical costs. This strategy is aimed at increasing the competitiveness of the Group, as well as allowing the Group to overcome potential protectionist measures (customs barriers or other measures such as technical prerequisites, product certification, and administrative costs related to import procedures, etc.) In the context of this strategy, Pirelli operates in countries (Argentina, Brazil, Mexico, Russia, China, Egypt, and Turkey) where the general economic and political situation and tax regimes may prove unstable in the future. For example, structural elements of political instability persist in the Latin American area (with particular reference to Brazil), which could lead to an alteration of the normal market dynamics and, more generally, of business operating conditions. To this scenario of uncertainty, there is the added recent socio-political instability in the Middle East where the medium-long term implications remain uncertain. The Group constantly monitors the changes in risks (political, economic/financial and security related) relative to the countries in which it operates in order to continue to adopt timely (and if possible advance) measures to mitigate the potential impacts of changes arising at local level. Moreover, in situations of under-utilisation of the capacity of some factories, the reallocation of production between Group plants is possible. Over the last few decades, certain social and technological trends have emerged that might potentially have a material impact in the medium-long term on the automotive sector, and indirectly on the tyre market. On the one hand, these are represented by the growing phenomena of urbanisation (according to the latest United Nation estimates, approximately 70% of the global population will live in urban areas by 2050) and on the other hand, by changes in the values and behaviour of younger generations (increase in the average age when a driver’s license is obtained, loss of importance of owning a car, increased use of various types of car sharing). Added to these factors is the increasing spread of information technologies which increasingly encourages the use of e-commerce and/or telecommuting along with frequent regulatory interventions, both in the mature as well as emerging economies, aimed at limiting the presence of polluting vehicles within and near metropolitan areas. These dynamics may give rise to a change in automotive sector demand (from changes to vehicle dimensions/engines which take different types of fuel/power supply, to the possible resizing of the car in accordance with the transportation preferences of citizens), with a potential impact on the dynamics of the tyre sector. Pirelli constantly monitors the evolutionary changes in automotive sector demand by actively participating in working groups at international level, such as the SiMPlify and Future of Mobility projects sponsored by the World Business Council for Sustainable Development (WBCSD). The principal aim of such projects is in fact to study the possible long-term evolution of urban mobility and to promote solutions that might improve the social, environmental and financial well-being of the urban population. In the short-medium term, there were no significant risks in relation to production processes or the markets where Pirelli operates. On the other hand, as regards a medium-long term scenario, the tyre sector could be subject to a number of risks both of a physical nature (such as the increase in average temperatures and the more frequently occurring extreme weather events) as well as of a regulatory nature. Pirelli monitors these elements of uncertainty through sensitivity analyses. On the other hand, the situation also represents growth opportunities in sales for both Pirelli Green Performance tyres as well as products with a lower environmental impact. Natural rubber, synthetic rubber and raw materials related to oil (in particular chemicals and carbon black) will continue to be a factor of uncertainty within the Group’s cost structure, given the strong volatility recorded in recent years and their impact on the cost of the finished product. For the main raw materials purchased by the Group, possible price scenarios are constantly simulated in relation to the historical volatility and/or the best information available on the market (e.g. forward prices). On the basis of the different scenarios, increases in sales prices and/or the different internal actions, for the recovery of cost efficiencies (use of alternative raw materials, reduction of the weight of the product, improvement of the processing quality and reduction of the levels of waste), necessary to guarantee the expected levels of profitability are identified. The diverse geographical distribution of Pirelli’s productive and commercial activities entails the exposure to exchange rate risks such as transaction risk and translation risk. Transaction risk is generated by transactions of a commercial and financial nature carried out in individual companies in currencies other than the functional currency, due to fluctuations in exchange rates between the time when the commercial/financial relationship originates and the time when the transaction is settled (collection/payment). The Group’s policy is to minimise the impact of transaction risk linked to volatility, and for this reason the Group’s procedures provide that the Operating Units are responsible for collecting all the relevant information pertaining to positions subject to transaction risk (mainly represented by receivables and payables in foreign currency). Coverage is then provided in the form of forward contracts which are entered into where possible with the Group’s Treasury. The positions subject to exchange rate risk are mainly represented by receivables and payables in foreign currency. The Group’s Treasury is responsible for hedging the resulting net position for each currency and, in accordance with the established guidelines and restrictions, it in turn provides for the closure of all risk positions by trading derivative hedging contracts on the market, typically forward contracts. Furthermore, as part of the one year and three year planning process, the Group formulates exchange rate forecasts on the basis of the best available information on the market. Any fluctuation in an exchange rate between the time of planning and the time when a commercial or financial transaction originates, results in a translation risk on future transactions. From time to time the Group assesses the opportunity to engage in currency hedging on future transactions for which it typically makes use of either forward buy or sell operations, or optional operations such as risk reversal (for example; zero cost collars). Pirelli owns controlling interests in companies that prepare their Financial Statements in currencies other than the Euro which is the currency used to prepare the consolidated Financial Statements. This exposes the Group to currency translation risk, due to the conversion into Euro of the assets and liabilities of subsidiaries operating in other currencies. The main exposures to currency translation risk are constantly monitored and at present it has been decided not to adopt specific hedging policies for these exposures. The 2017 financial year saw the US Dollar decline against the Euro as well as both the Brazilian Real and Russian Rouble. As regards instead the Chinese Renminbi, there was a partial reversal of direction (at least at a quarterly granularity level) during the course of 2017 with respect to the depreciation trend in evidence since 2013. According to the currently available forecasts, the 2018 financial year should repeat, at least in terms of annual trends, that which was seen during the previous financial year. The principal instruments used by the Group to manage the risk of insufficient available financial resources to meet the financial and commercial obligations within the terms and deadlines established, are its one year and three year financial plans and its treasury plans, in order to allow for the complete and correct detection and measurement of incoming and outgoing cash flows. The differences between the plans and the final data are constantly analysed. The Group has implemented a centralised system for the management of collections and payments in compliance with various local currency and tax regulations. Banking relationships are negotiated and managed centrally, in order to ensure coverage for short and medium-term financial needs at the lowest possible cost. Even the procurement of medium and long-term resources on the capital market is optimised through centralised management. The prudent management of the aforementioned risk requires the maintenance of an adequate level of cash or cash equivalents and/or highly liquid short-term securities, plus the availability of funds obtainable through an adequate amount of committed credit facilities and/or recourse to the capital market. In addition to the available portion of the committed credit facility (the Revolving Credit Facility) for a total of euro 700 million which at December 31, 2017 resulted as being completely unused, the Pirelli Group has resorted to the capital market to diversify both products and maturities in order to seize the best opportunities available from time to time. Interest rate risk is represented by exposure to the variability of the fair value or of the future cash flows of financial assets or liabilities due to changes in market interest rates. The group assesses, on the basis of the market circumstances, whether to enter into derivative contracts, typically interest rate swaps, for hedging purposes for which hedge accounting is activated when the conditions set forth in the IAS 39 are met. The Group is exposed to price risk only regarding the volatility of financial assets such as listed and unlisted stocks and bonds, accounting for 2.1% of total assets of the Group. Derivatives are not normally set up to limit the volatility of these assets. Credit risk represents the Group’s exposure to potential losses resulting from the non-fulfilment of the commercial and financial obligations undertaken by counterparties. As regards these commercial counterparties, in order to limit this risk, Pirelli has implemented procedures to evaluate customer potential and financial creditworthiness, to monitor expected collection flows and to take credit recovery action if and when necessary. The aim of these procedures is to define customer credit limits, whereby in the event that those limits are exceeded, the rule to withhold further supplies is activated. In some cases customers are asked to provide guarantees. These mainly consist of bank guarantees issued by parties of the highest credit or personal standing. Less frequently, mortgage guarantees may be requested. Other instruments used for commercial credit risk management is the taking out of insurance policies. As of January 2012, the company signed a master agreement which expired in December 2017, with a leading insurance company for worldwide coverage for credit risk mainly related to sales on the Replacement channel (with an approximate 68% acceptance rate at December 2017). The insurance coverage has been extended to also cover 2018. During the course of 2017, the general situation for trade receivables remained essentially consistent with that at the closing of the previous financial year. The Group operates only with highly rated financial counterparties for the management of its temporary cash surpluses or for trading in derivative instruments. Pirelli does not hold public debt instruments from any European country, and constantly monitors its net credit exposure to the banking system, and does not show significant concentrations of credit risk. The Group is exposed to the risk of loss of resources in key positions or in possession of “critical know how”. To address this risk, the Group adopts remuneration policies periodically updated also based on changes in the general macroeconomic scenario as well as on the basis of salary benchmarks. Also planned are long-term incentive plans and specific non-competition agreements (also with retention effect) designed amongst other things, to fit the risk profiles of the activities related to the business. Finally, specific management policies have been adopted to motivate and retain talent. The activities and products of the Pirelli Group are subject to numerous environmental laws that vary between the countries where the Group operates. These regulations have in common their tendency to evolve in an ever more restrictive manner, also due to the growing concern of the international community over the issue of environmental sustainability. 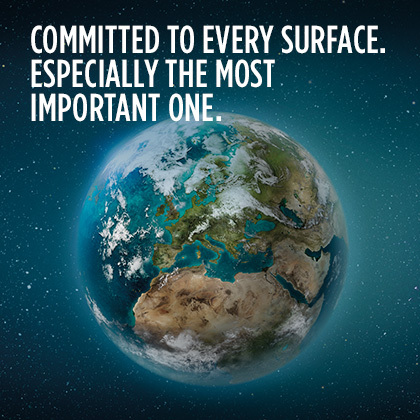 Pirelli expects the gradual introduction of ever stricter laws in relation to the various environmental aspects on which companies may impact (atmospheric emissions, waste generation, impacts on soil and water use, etc. ), by virtue of which the Group expects to have to continue to make investments and/or incur costs that may be significant. The Pirelli Group, in carrying out its activities, incurs expenses and costs for the actions necessary to ensure full compliance with the obligations provided for by the regulations regarding health and safety in the workplace. Particularly in Italy the law relating to health and safety at work (Legislative Decree no. 81/08) and subsequent amendments (Legislative Decree no. 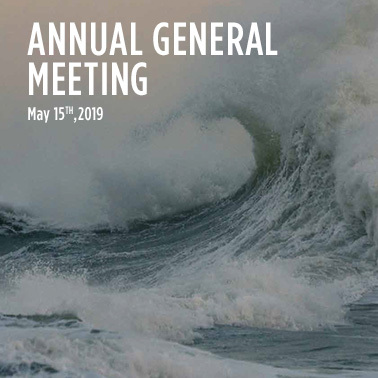 106/09) have introduced new obligations that have impacted on the management of activities at Pirelli sites, and on the models for allocating liabilities. Failure to comply with current health and safety regulations entails criminal and/or civil penalties at the expense of those responsible, and in some cases, the penalties for the violation of regulations are borne by the Companies themselves in accordance with a European model of objective liability for companies incorporated in Italy (Legislative Decree no. 231/01). 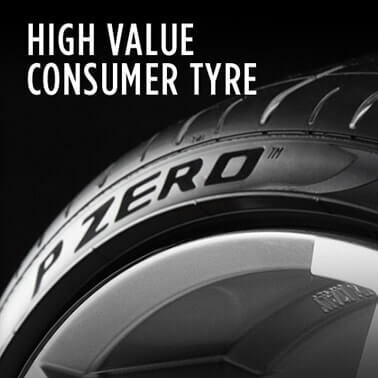 As with all manufacturers of goods for sale to the public, Pirelli is subject to potential liability claims related to any alleged defects of the materials sold or may be required to launch recall campaigns for products. 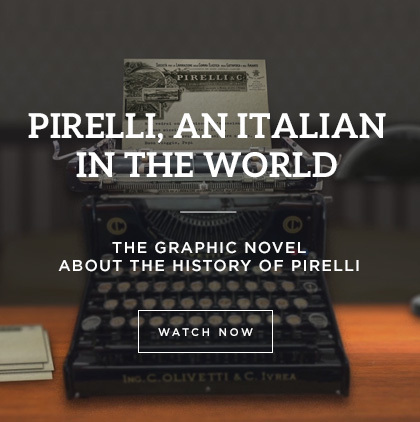 Although in recent years there have been no significant cases and such events are however covered by an insurance point of view, any occurrence could have a negative impact on the reputation of the Pirelli brand. For this reason, the tyres manufactured by Pirelli are undergo a careful quality analysis before being placed on the market. The entire production process is subject to specific quality assurance procedures aimed at safety, as well as at constantly elevated performance. In carrying out its activities, Pirelli may become involved in legal, fiscal, trade or labour law disputes. The Group adopts the necessary measures to prevent and mitigate any penalties that may result from such proceedings. The supporting role of ICT (Information and communication technology) systems for business processes, their evolution and development, and for the Group’s operating activities was also confirmed during the course of the 2017 financial year as being fundamental to the achieving of results. 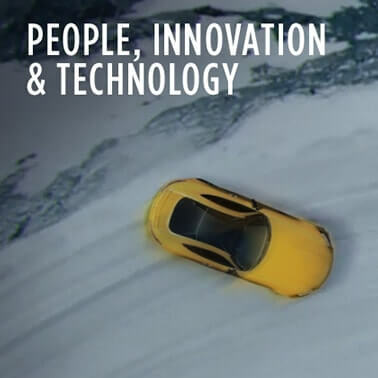 Pirelli has mainly worked towards the prevention and mitigation of risks connected to possible system malfunctions through high reliability solutions for the protection of the corporate information assets, through the enhancement of the security systems against unauthorised access, as well as of the business data management solutions. Particular attention has been paid to the renewal of infrastructural componentry characterised by technological obsolescence which could entail a greater risk of breakdowns and incidents which could impact on the Group’s activities. High reliability solutions have been implemented for the data network, renewing the central devices which manage communications within the Company and the access to Internet services, in order to reduce the risk of possible disservices and to increase perimeter security. the work to bring the Server and Client environments into compliance continued with the progressive updating of the operating systems in order to reduce their vulnerabilities. the new Disaster Recovery solution was activated, which substantially reduces recovery times and limits any loss of data to a minimum. the central infrastructure of storage systems was strengthened with a view to Business Continuity, in compliance with the Group’s architectural standards and security regulations. the infrastructures for saving corporate data resident on user PCs and on central systems were enhanced to reduce the risk of information loss. work continued on the segregation of the factory networks within the various locations of the Group, and with the implementation of protective solutions to the level of individual machinery. The territorial fragmentation of the operating activities of the Group and their interconnection, expose it to risk scenarios that could cause the interruption of business operations for more or less prolonged periods, with the consequent impact on the operational capabilities and results of the Group itself. Risk scenarios related to natural events or accidents (fires, floods, earthquakes, etc. ), to wilful misconduct (vandalism, sabotage, etc. ), to breakdowns of the auxiliary plants or to the interruption of the supply of utilities can, in fact, cause significant property damage, and the reduction and/or interruption of production, particularly if the event concerns high volume or specific product (high-end) production sites. Pirelli monitors their vulnerability to catastrophic natural events (in particular flood, hurricane and earthquake) with estimates of any potential damage (based on the given probability of occurrence) for all the Group’s production sites. The analyses confirm the adequate monitoring of business interruption risks, thanks to a complex series of security measures, systems of prevention of harmful events and the mitigation of potential impacts on the business, also in light of the current business continuity plans as well as the insurance policies in place to cover property damage and business interruption. Regarding earthquake risk, and specifically the facility in Turkey, any particularly significant seismic events could result in losses exceeding the insured limits resulting in a negative impact on the operating results. Even Pirelli’s supply chain is subject to regular assessment concerning the potential risk of business interruption in the qualification phase of new Tier-1 suppliers. 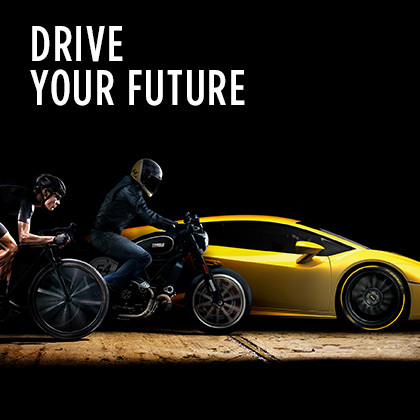 Pirelli has developed an ad hoc digital tool for the identification, measurement and management of reputational risk, which is measured in terms of the probability of occurrence and impact on reputation. Reputational risk is understood as a current or prospective risk that might result in a loss in gains and affect the propensity to buy due to a negative perception of the Company by one or more stakeholders. While on the one hand, reputational risk is construed as a possible consequence of the occurrence of an adverse event related to one of the three aforementioned macro-risk families, on the other hand it is managed as an independent event precisely because its scope depends on the expectations of the stakeholders concerned, as well as the impact of the negative event. The chosen methodology has led to the identification of a specific set of reputational risks. This mapping derives from an analysis of a series of internal and external drivers including: negative events with an impact on reputation which have occurred in the sector worldwide over the last ten years; interviews with external Key Opinion Leaders on sector trends, especially on aspects of mobility and sustainability; interviews with internal Key Opinion Leaders with particular reference to the analysis of the probability of the occurrence of the risks identified. The risk events identified were then subjected to the qualitative-quantitative assessments of a sample representative of the general public in the five key Pirelli countries, which led to the definition of the governance and management structures and the preparation of mitigation and/or crisis management plans. Risks in terms of corporate social and environmental responsibility, business ethics, and third-party audits. Risk management at Pirelli is enterprise-wide and includes the identification, analysis and monitoring of environmental, social, economic/financial and business ethics risks that are directly or indirectly attributable to the company, through Pirelli affiliates or from within relations with them, such as the sustainability of the supply chain. Before entering a specific market, ad hoc assessments are carried out in order to assess any political, financial, environmental and social risks, including those connected with human and labour rights. Together with constant centralised co-ordination and monitoring, the ongoing verification of the application of Pirelli’s requirements regarding financial, social (especially human and labour rights) and environmental sustainability and business ethics, occurs through periodic audits commissioned by Pirelli from specialised independent firms, and through extensive internal audit activities. Particular attention is dedicated to the sustainability of both Pirelli sites and sites belonging to suppliers operating in emerging countries. 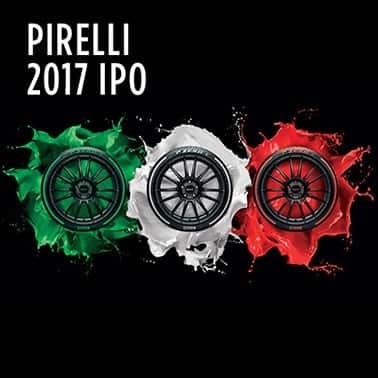 During 2017 Pirelli again commissioned third-party audits of its suppliers, in addition to continuing the internal monitoring through the activities of the Internal Audit Department.